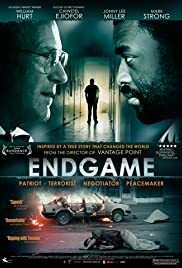 The end of the hated Apartheid regime in South Africa is an uplifting story, but also, as told in this drama-documentary, an oddly undramatic one. There was no revolution, nor even a commitment to reform from within. Instead, as the system became increasingly untenable on the ground in the face of growing popular unrest, a series of unofficial negotiations between prominent Afrakaaners and the opposition were eventually endorsed by F.W. de Klerk shortly after his appointment as leader of the country, in a tacit acknowledgement that he had run out of other options. Undramatic maybe, but this is still a worthy retelling of the mechanics of the process. It's surprising to see Thabo Mbeki, later much criticised as a later south African leader when he denied that H.I.V. causes A.I.D.S., portrayed here in such a positive light. 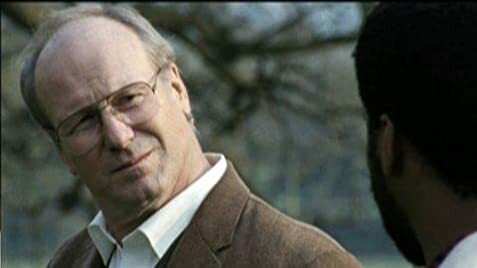 William Hurt is completely convincing as an Afrikaaner, while 'Wire' veteran Clarke Peters captures the essence of Nelson Mandela with a delicate performance . There's an element of hagiography in the film's treatment of the men who negotiated, but it is justifiably an uplifting story, especially in the knowledge of how, in the main, Mandela has managed to justify his status as virtual deity since his release; and how, for all its continuing problems, South African society has not collapsed with democracy.